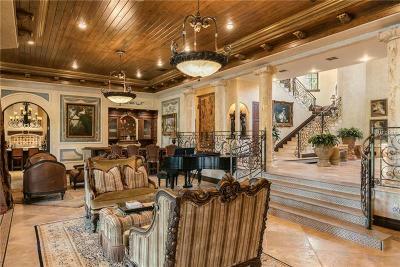 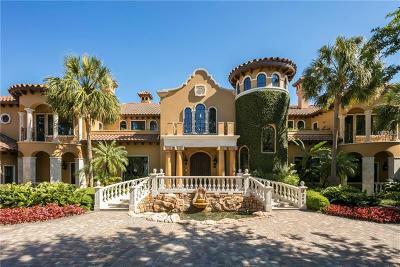 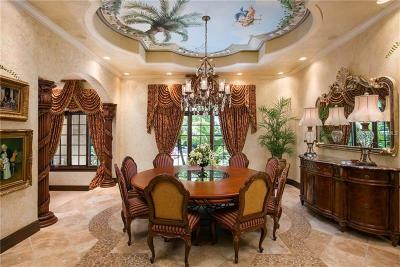 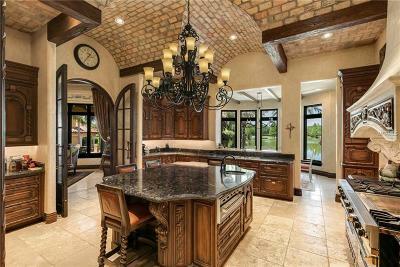 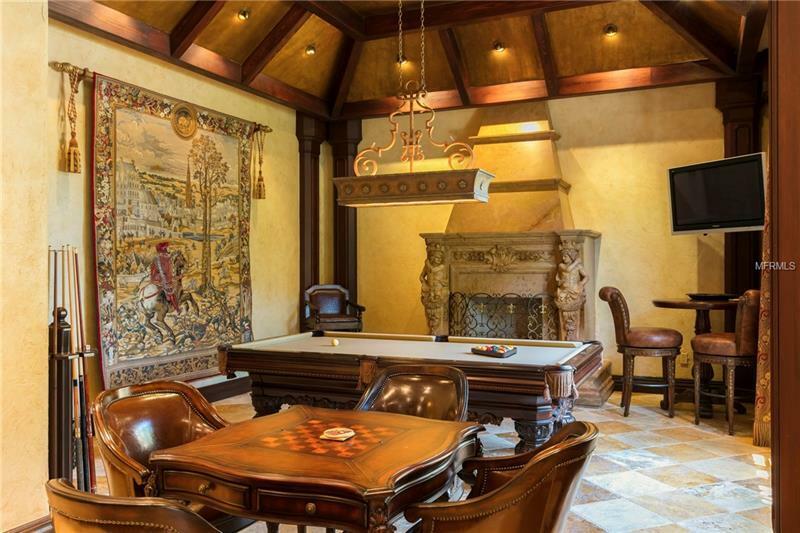 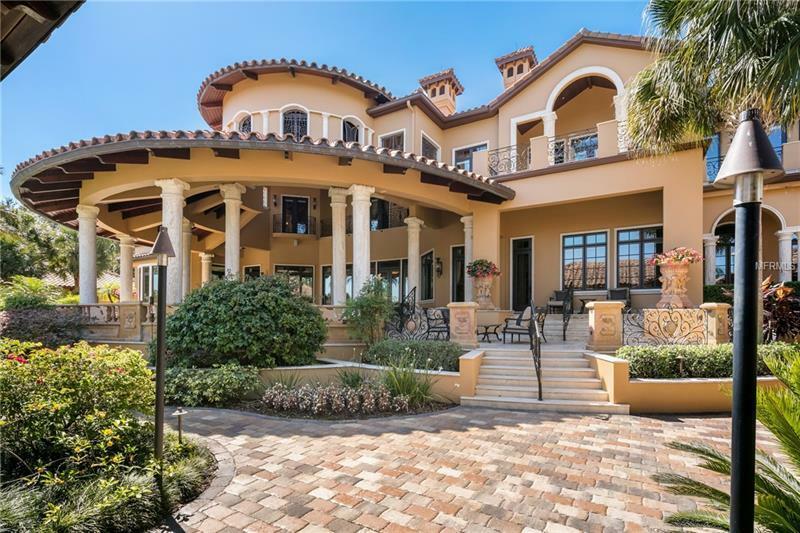 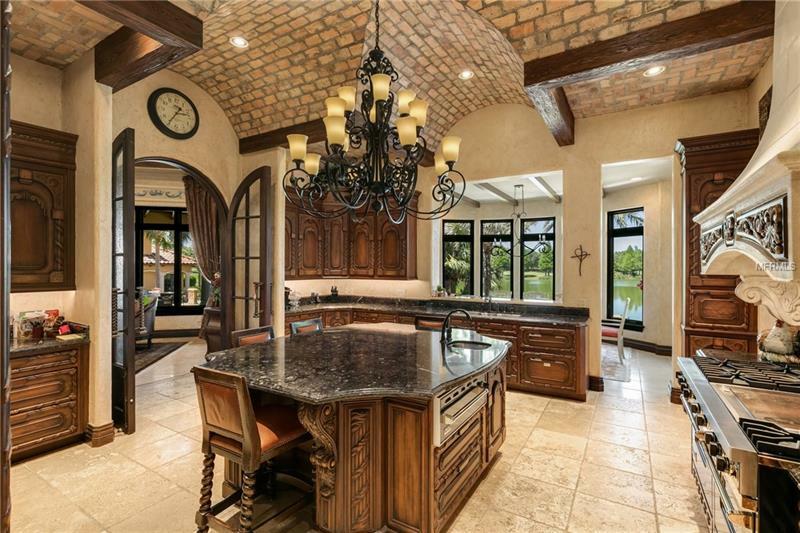 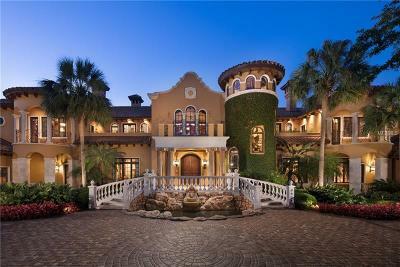 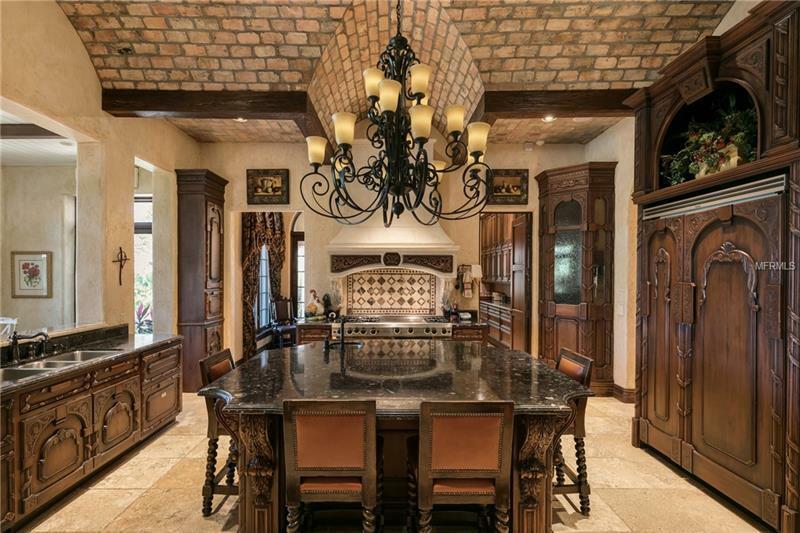 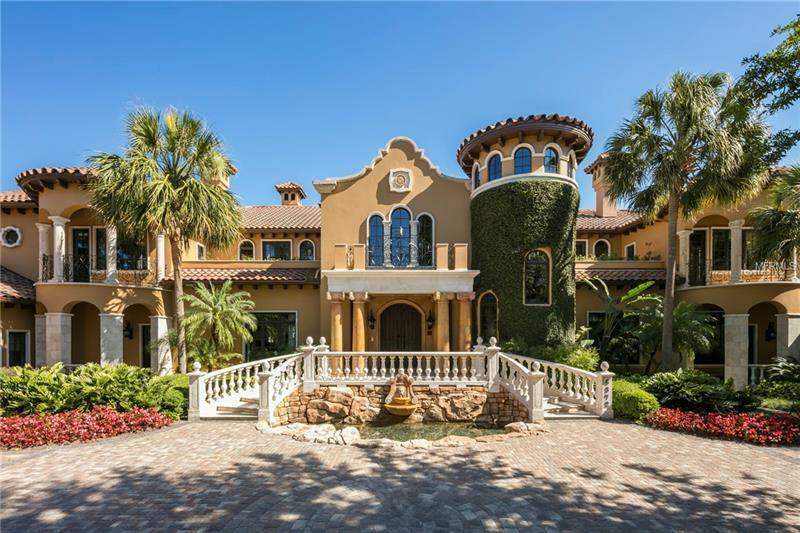 This exquisite one of a kind Isleworth masterpiece features unparalleled details and craftsmanship throughout. 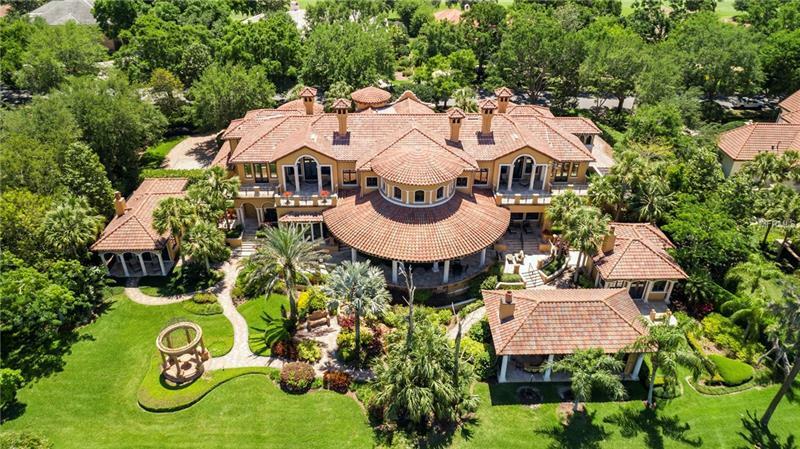 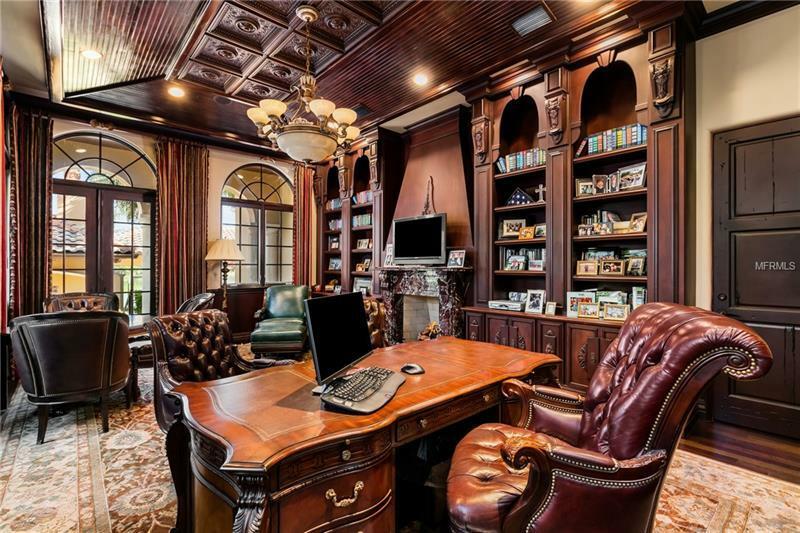 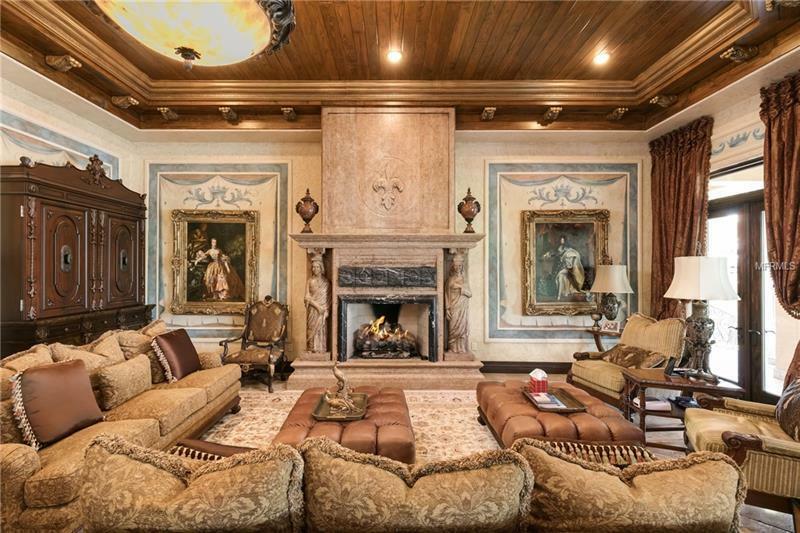 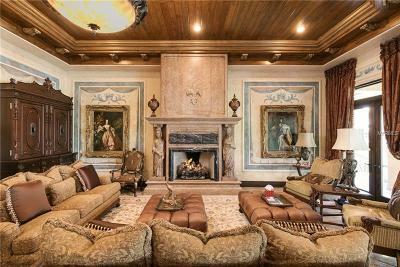 From the hand carved millwork to the imported marble fireplaces and over 115 Italian marble columns, European craftsmen have custom fabricated every detail of this fabulous home. 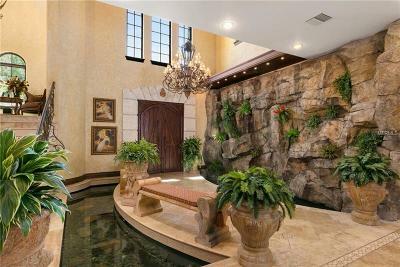 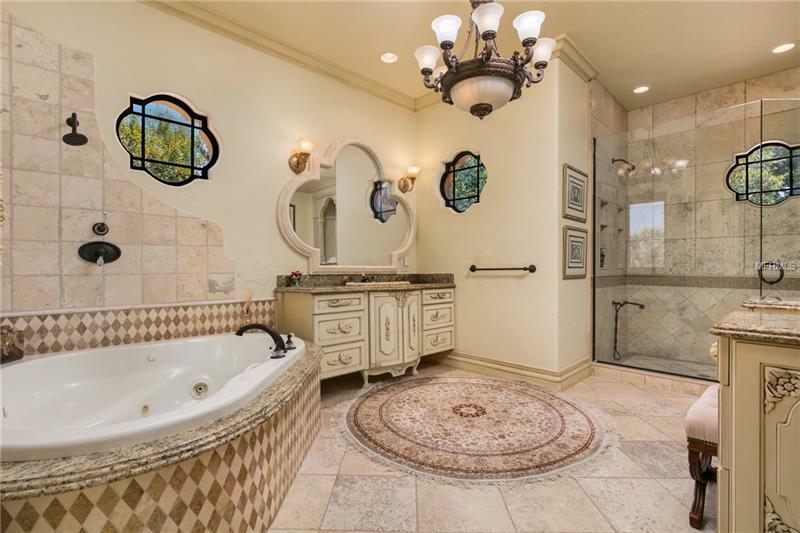 As you step through the front doors youâre immediately greeted by soaring two story ceilings and a rock waterfall spilling into koi pond directly beneath your feet. 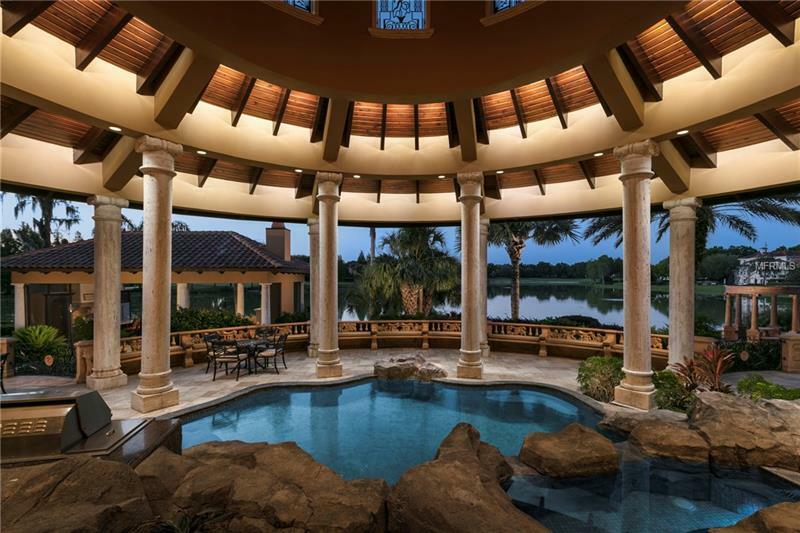 Directly in front of you is a massive gathering room with views of the pool and lake. The kitchen is truly a chefâs dream, with its intricate custom cabinetry, top of the line appliances, exotic fossil stone counter tops from Greece, and Chicago brick ceiling details no expense was spared. 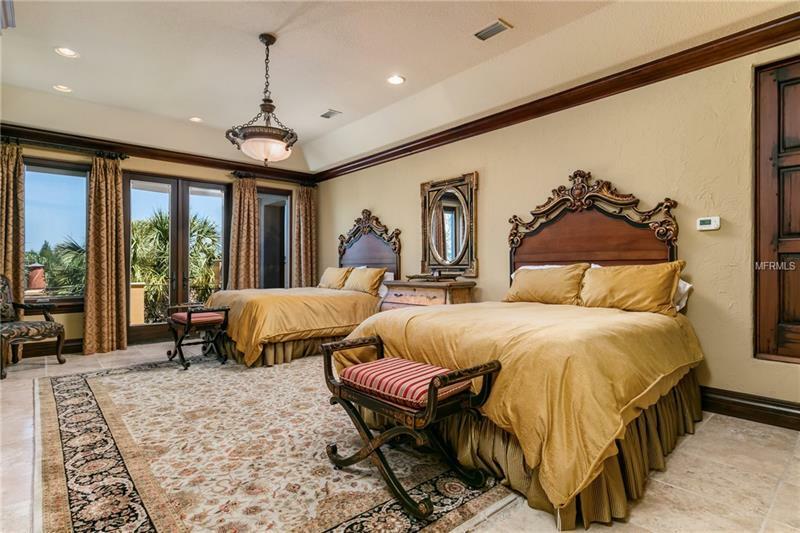 The luxurious master suite features a private veranda with breathtaking views of hourglass pond and separate his and hers bathrooms. 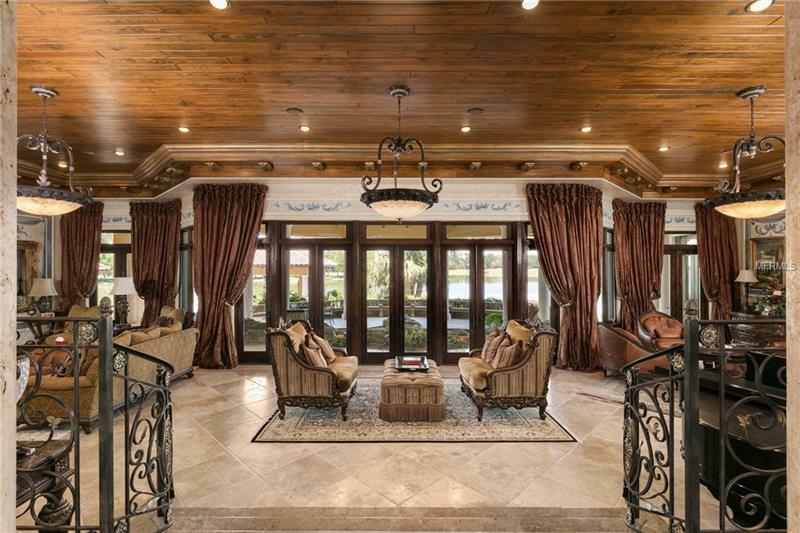 Additional amenities include two detached guest homes, an attached nannyâs quarters, a detached covered patio with retractable screens and a summer kitchen, a fabulous pool covered by a spectacular wood lined rotunda, a home theater, a stunning home office, and a fitness center with an indoor exercise pool, sauna, and steam room. This iconic Isleworth Estate truly has too many details to list. 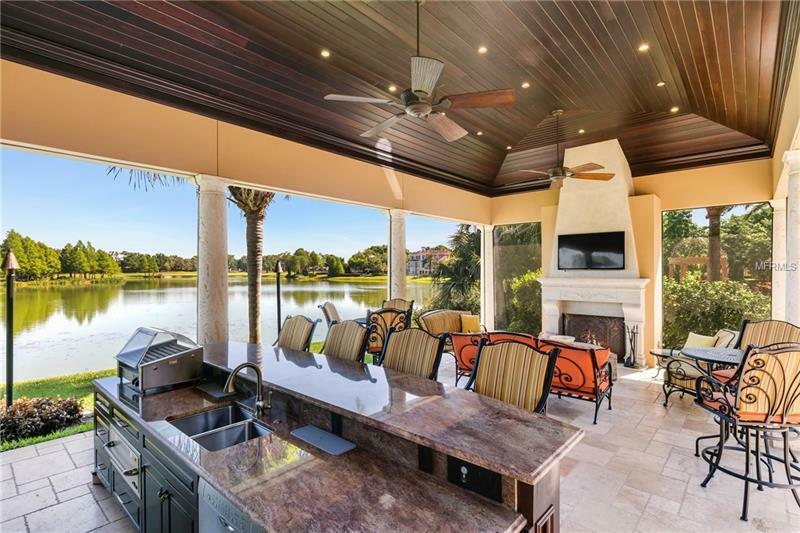 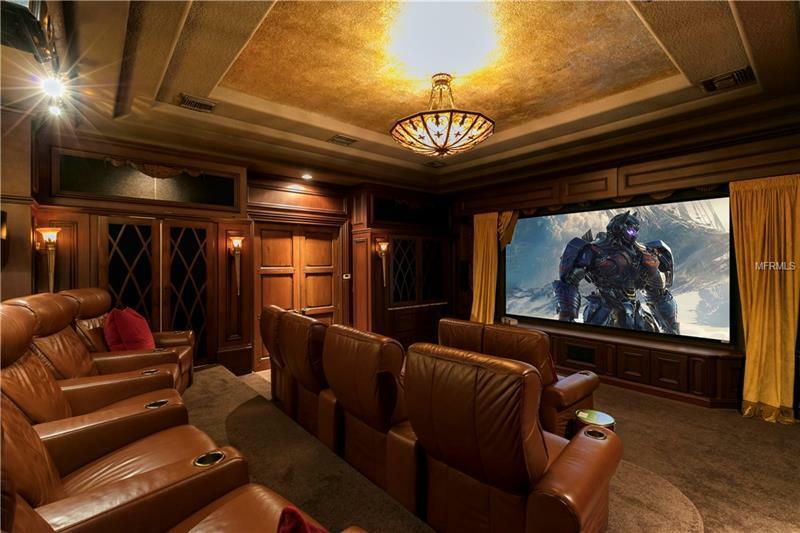 Just minutes from world class shopping, fine dining, and all of the area attractions, the owners of this remarkable home will never have a shortage of things to do.